This photograph of the Mega Yachts resting in Portofino, Italy shows that everyone wants to visit Portofino. 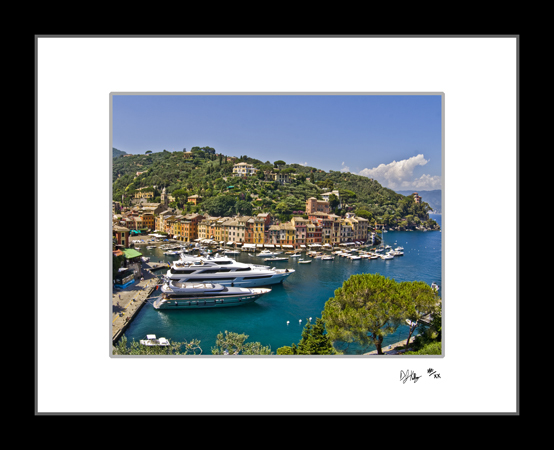 Portofino is an Italian coastal town in the province of Genoa, This picture shows the place to see some of the biggest boats along the coasts of Italy. The town is located along the Italian Riviera, climbing from the sea up into the mountains protecting the harbor.